All marketers would like to think that subscribers experience a warm, fuzzy feeling inside when they see an email from them. In reality, many such messages evoke a sigh of exasperation, followed by a cursory skim at best, or a click of the “unsubscribe” link at worst. Fickleness, small attention spans, impossible standards – excuses abound for why marketers don’t feel bound to follow email marketing’s best practices. But the truth is, nowadays people have the luxury to choose from an almost infinite number of products and services. No wonder they have zero tolerance for bad practices or mediocrity! To survive, your content marketing has to evolve past the point of “good enough” into “indispensable.” The time has come to take a long hard look at what you might be doing wrong – and instead do what the best email newsletters are doing right. What prevents your readers from gleefully devouring each new email? Let’s find out. As a rule, people don’t subscribe to your email list because of an intense interest in what you sell. Chances are, they simply find your content somewhat useful, or entertaining, or both. It is your job to give prospects more reasons to care, and to care enough that in time they become paying customers. To do this, you have to focus on providing incredible value for free. However, a “free report” of mediocre quality with no actionable advice (followed by email after email of sales pitches) won’t cut it. Readers will see through the ruse, and flee your spammy sales sequence like a bat out of hell. Instead, show prospects that you are ready to improve their lives without asking for anything in return. Employ the “give give give sell” model. Give them mini-courses and free goodies; give them actionable information they won’t find anywhere else for free; give them so much useful content it makes them giddy. And just as your subscribers are reeling from the positive change achieved by following your advice, tell them in no uncertain terms, “You think that was good? You ain’t seen nothing yet!” That’s when you roll out your paid stuff; that’s when they beg you to take their money. Who does it right: One good example is Carol Tice from Make a Living Writing. She used to offer first-time subscribers a 21-week course on marketing for freelance writers. Just let that sink in. 21 weeks’ worth (!) of solid content, geared towards solving specific problems: how to sell, where to get clients, how to self-promote etc. Now she gives away something that’s arguably even better – a tear-down of the most common commercial writers’ problems from 17 acclaimed professionals in the field. There are two kinds of selling, and they don’t contain the words “hard” and “soft”. There’s selling what your subscribers want, and there’s selling your assumptions about what your audience wants. You can probably guess which one is more likely to succeed! Don’t be satisfied with just throwing content and products at your subscribers, no matter how awesome you think your content and products are. Instead, ask them about what they want to see in their inbox. Encourage them to share the problems that keep them from changing for the better. Find out what information they want badly enough that they’ll pay for it. And, use their replies to supercharge your sales copy! As a result, you get free market research and better sales figures in the future, and your prospects get better content and better products. As a bonus, audience engagement goes through the roof. So go ahead and make your newsletter a two-way communication. One way to better interact with your subscribers is to use calls to action more often. Many marketers only use calls to action for sales, yet there are so many other useful applications! Invite subscribers to fill out surveys, encourage them to ask questions directly, spur discussions on social media, and refer friends with similar interests (or problems). Your list doesn’t start out active and engaged. You create that energy and interaction – one amazing email at a time. Who does it right: Steve Kamb of Nerd Fitness fame. By promoting and encouraging tireless interaction with subscribers, Steve has built a super-engaged community of like-minded people. Community is the bedrock of his business model, and he would never have managed such a feat by simply spoon-feeding content to his audience. There is no shortage of excellent content out there – but people unsubscribe anyway. The truth is that being excellent is not the same as being indispensable. Whoever provides the most benefit to subscribers, wins the email marketing best practices game by staying ahead of the competition. We have already discussed two ways to do that – solving problems and making calls to action. Asking for feedback and, most importantly, incorporating it into your content marketing, is another strategy that is as effective as it is undervalued. Pay attention to how your readers react to what you do. They may tell you that a particular topic doesn’t interest them, or that your emails are too salesy or – even worse – that your emails are uninteresting. Yes, there will always be people who complain just for the hell of it. Those people are easy to spot and brush off. They wouldn’t buy from you anyway. They are not the people you want to focus on. However, in contrast, when a long-time subscriber with respectable open and click-through rates says something is wrong, they might be on to something. Measured, specific criticism is worth paying attention to. So listen and react to the feedback provided by the people on whom your business depends. Who does it right: Sean D’Souza from Psychotactics. 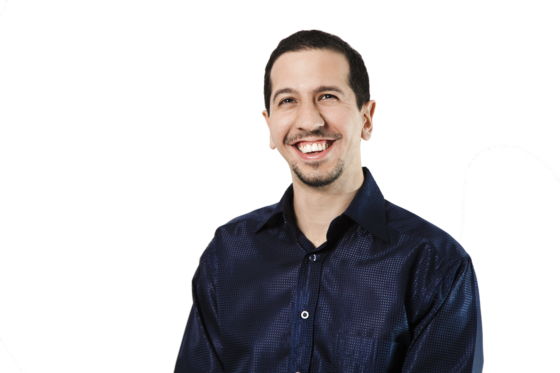 Famous for having a tight and super-responsive audience, Sean is an expert at using testimonials and user feedback to supercharge his marketing. He has an entire course dedicated specifically to this topic! You don’t want as many people as possible on your list. You want as many engaged people as possible. A super-responsive list of 2,000 subscribers is far superior to a 200,000 list of tire-kickers and freeloaders. Always cater to the most active segment of your mailing list. Don’t get hung up on people who never read the content. Disregard those who give it a skim, shrug their shoulders and forget about it once the browser tab is closed. In fact, tell them to unsubscribe! Some will leave; others will be left with something to ponder. There is no need to retain inactive subscribers, or to encourage passive consumption of content. If you do these things you will end up with a poorly-optimized list, wondering why conversions are so bad. Striving to please everyone, repeat customers and non-paying lurkers alike, is not a marketing strategy – so stop pursuing it! Who does it right: Tim Ferriss, the “4-hour-everything” guy. Fun fact – he hadn’t sent a single organized email to his 200,000+ subscribers until very recently! Do you know what people saw immediately upon opening his first message? The option to unsubscribe – because, quote, “I know it has been a while since I last contacted you”. Tim knows that it’s never about the numbers, it’s about engagement. And so the first thing he does is show the disinterested subscribers a way out. There’s this quaint notion in email marketing that readers shouldn’t be under any obligation to do, well, anything. Isn’t it funny how you must do gut-busting research, writing and testing to bring them the best content? Your subscribers, on the other hand, are free to read it, sigh “I wish I could do that” – and ignore the lot. Hold your subscribers accountable. Make your subscribers apply what you teach them and tell you about the results. Show people that you are invested in their continued success. Let them know how confident you are in the quality of advice you give. If you didn’t slack off when creating the content, why should they get the easy way out by not applying it? The end goal of this strategy is two-fold. If your content is as good as you claim, holding subscribers accountable for applying it is going to provide you with killer testimonials, and give your subscribers a compelling reason to make a purchase. And if your content doesn’t deliver, you will have a chance to make it better, instead of staring blankly at plummeting metrics and wondering what you did wrong. Even mediocre advice will yield positive results if consistently acted upon. Assuming you’ve worked hard to fix the previous mistakes, your content could be amazing. Encourage readers to take action; it will make all the difference. Who does it right: Ramit Sethi from I Will Teach You to Be Rich. This is the site, with the world’s scammiest title, that puts out world-class content, and most of it for free. The catch is, Ramit will make you follow up and tell him how you used his advice, and the results you achieved. Holding his subscribers accountable, he gets increased subscriber engagement and greater likelihood of sales. People improve their lives, knowing that his content works. Everybody wins through the magic of accountability. On the Web, consumer trust can be scarce, perhaps because of the stereotype of marketers and salespeople as money-grabbing sleazebags. It is assumed these money grabbers are lurking in the dark corners of the digital world, sharpening their sales pitches, and just waiting to pounce on the unsuspecting. You can’t afford to undermine the trust you have built with your subscribers. Even though it took you months and months to develop this relationship, make no mistake – one mishap is all it will take to demolish it. So don’t waste readers’ time. Don’t abuse your subscribers by giving them low-quality content they could quickly find for themselves using Google. Keep your content relevant; keep it helpful; deliver on every promise you make. And most importantly, don’t expose your subscribers to questionable products just to make a profit. All this will lead them to stop trusting you. And once it happens, good luck trying to sell something again. Who does it right: Every marketer worth their salt (duh). The worn-out mantra “the money is in the list” doesn’t tell the whole truth. The list could be a thousand people, or a hundred thousand. The money is in your relationship with subscribers, no matter how many there might be. To be profitable, your relationship must be based on mutual trust. You achieve this by listening to your audience, helping them overcome their biggest problems, and showing active interest in their success. Prove that you are worth their time and their money, and you will see massive earnings – even with a modest list. What other engaging email marketing best practices do you think are neglected by the majority of online marketers? Let me know in the comments below! Casey Farquharson is the founder and CEO of Business Essentials, the CRM platform that helps businesses and entrepreneurs automate their marketing and convert cold leads into paying customers on autopilot. Hey Casey – I like the article, but I’m going to violently disagree with “give, give, give, sell”. Give: yes, very good advice. Sell: oh yuck, I’m being pitched at. Just because you’ve already given doesn’t mean people won’t get a nasty taste in their mouth form a pure sales pitch email. And by not selling at all in the first three emails you’ve let the people who were ready to buy straight away – you hottest prospects go off the boil. What I’ve found works best (caution: I’ve tested it for me, but I suppose it may work differently for you) is to give and sell gently in the same email. When you do it that way, the good will, the positivity, the reciprocation that you generate in the give part of the email is still there when you promote in the sell part. If you split it out over emails the goodwill has worn down by the time they get a pure sell email. By selling in most/every email too you can make it shorter and gentler. A few sentences selling something in four emails doesn’t raise people’s barriers. The email doesn’t seem like it’s trying to pitch them something too hard so they don’t get skeptical and suspicious. Add those same sentences together in one email purely selling them and they read it like an advert and their barriers go up. And, of course, a good writer is able to give and sell at the same time. Example: telling a funny personal story that gives useful information about how you solved a problem can also get across the need to do something in this areas and raise your credibility as knowing how to do it. Of course, there are many different ways to do things. And I’m not saying don’t ever send a pure sell email or a pure give email. Just that the majority should be give and sell. And that the distinction between giving and selling is often a false one. Sure, you have to stick with a thoughtful blend of both to make the message effective. What I have noticed is, a half-decent marketer wouldn’t write a sleazy sales pitch anyway. It’s just that I know people, and have worked with people, whose email marketing is 75% sales emails. Unsurprisingly, most of them are either out of business now, or seen the error of their ways. 🙂 They never managed to build up enough goodwill because of that, and paid for it dearly. There’s nothing wrong with a straightforward offer, just as there’s nothing wrong with a sales-free message that offers value. If goodwill can fall apart because of an honest, non-sleazy pitch, how solid was it in the first place? Still, I agree – there is something to be said about straddling the line between giving and selling. I think this is so individual. I know marketers who sell something every single email. It really depends on your relationship with your audience and your comfort level with selling whether that’s going to be right for you. Personally, give give give sell is working well for me. Most of the time, give give give sell is the way to go. Great Post Casey, I want to go Further with the Give, Give ,Sell method. It will always work for a segment of your list. Some will buy anyway, because your offer is what they want and need NOW(because what they want is not necessary what they need). Some won’t buy even you sell it to them now, tomorrow or next year. I think one of the best way to do that, is to let them know from the beginning, once in a while you will sell to them . Some will unsubscribe (which is perfect) and some will stay. They won’t be surprised when you send them a sale email. Excellent point, Fabienne. Many people freak out about prospects calling out their sales pitches, and end up under-charging, or not making offers nearly enough. So what if someone unsubscribes because you had the audacity to try and sell them a thing you’ve spent sleepless nights and millions of neurons making and perfecting, specifically for someone like them? Those people wouldn’t buy anyway, so good riddance. This is a fantastic article and I completely agree with and practice the give, give, give sell for my email marketing efforts. One part I didn’t think of was keeping your subscribers accountable – this is a powerful idea and I love it. It also does seem like a great way to build social proof and I will make sure to try it out. Keeping people accountable makes them actually apply your advice – and after all that is the most important part. in making a positive difference. I totally understand your point when you say that people get use to the idea of free content and then get put off by a sales pitch. The work around is letting them in the loop in the first 3 emails of the Give, Give, Give sequence – just put a small part on the end of the email hinting at a paid service or product. After all if you give them 3 very valuable resources or advice you have earned the right to “pitch” a sale – just make sure to let them know in advance so there is no surprises. With regards to Fabienne’s comment – some people also want to buy but for many reasons never get around to it. A great way to approach this is to add in “bonuses” after making the sales pitch – this can be another freebie but something that is added as an extension of the the product or service works best, especially when used in conjunction with scarcity ( in the form of a cut off date). This is so helpful. Thanks for the insight, Casey. I checked out your website and I love the quick one question survey at the bottom. It has given me some ideas for how to gain more insight quickly as people sign up. Is there a simple plug in that you recommend to put that into your email sign up? To answer your question, we use FormGet on the main page, but we will be replacing that with one that runs on our own survey engine. Makes it easier to keep track of everything, plus it’s more customisable. 🙂 So we usually use it for email signups, too, when we feel it is useful. Great post, Casey! I hadn’t considered # 5. Thanks for the tips! Thank you for your kind worlds, Elke! Accountability is probably the least appreciated strategy. But if you sell courses, or some sort of subscription-based product/service, it is amazing for audience engagement. And it keeps customer retention consistently high. Definitely worth adopting. The accountability concept is new to me, too, and probably deserves a whole post of its own; I’m likely not the only one who looked at it and thought, “Great idea, but HOW do you make someone feel accountable without the incentive of a nationally recognized educational degree, a salary, or personal friendship?” Seriously, in my experience (and I certainly don’t claim personal innocence on the matter) even the majority of people who pay for well-managed adult education courses tend to slip back into old habits after “graduating,” once the incentive of knowing what and when any definite reward will be is gone. Great post and great responses! I think “a thoughtful blend of both” is the way to go. I especially love the links to “who does it right” – there’s enough here to fuel several hours of useful investigation. Thank you Casey. One other thing that’s great about this selection of marketers is that they’re so different in their approaches – but very similar in the overarching strategy. It really shows you that there’s more than one way to be successful. But deep down it all relies on core principles – deliver value, interact and engage, and be honest in all your dealings. I must say email marketing is really important for CPA and As a result, you get free market research and better sales figures in the future, and your prospects get better content and better products. Thanks for the mention, Casey! I stopped doing the 21-week e-course as the subscriber bonus because I thought it was too much of a commitment, and I saw open rates going down as the series progressed…so now I’ll be offering it after you’ve been a subscriber a few weeks, as a separate opt-in. I wanted to be able to segment who was interested in that lengthy an email course, and offer the 1-shot fear-buster podcast for initial signup. I also have a second set of training resources I want to offer as a *different* option. In general, I like Copyblogger’s model of offering Internet Marketing for Smart People and other e-courses now and then at various points in a subscriber’s stay, to show you that staying on exposes you to a variety of freebies over time. I think that creates a lot of loyalty…you hang in because you don’t know what other useful free goodies might be coming! I also like doing random free things to promote that idea…like the time I just gave out my cel phone number in an email and did mentoring calls all day with whoever could get through. I’m a big fan of free live events, too — I try to do those on a regular basis. Anyway…I loved point #5…going to try out more of that on my audience! Thank you for dropping by, Carol! Loved your perspective on the subject. It’s an elegant solution that you came up with for the 21-week course. Doing random – or not-so-random – free things is a good one, too, especially events or even one-on-one training. Good luck with trying out #5 – it delivers surprising results. If anything, you’ll know very quickly which segment of your audience is the most engaged and committed. That’s so funny — that PR event was a freebie that sold a Freelance Writers Den bootcamp that was one of the most popular ones we’ve done. I come out of journalism and am still not thrilled with marketing so much…so I like that approach. People who send those 17-email cycles to sell something…I just don’t know how they do that. The whole idea makes me ill. Which is where giving a lot of free value helps — you don’t have to sell as hard when you’ve already shown people the quality of what you deliver. 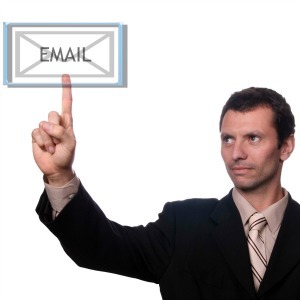 Well, email sequences can be effective if they are relevant and valuable in and of themselves. E.g., one of the marketers I mentioned, Sean D’Souza, gives away big excerpts of his paid stuff before actually selling. Another one, Ramit Sethi, does mini-courses by email, which are just as good, if not better, than what some people charge 3-figures for, and then does a live event or opens up selling for a product. The best of both worlds. There’s some great information here and more than enough for me as a newbie to keep me going for hours following it all up, never mind implementing it and then providing feedback. Most days I feel dazzled like a rabbit in headlights. Do you have any advice how to stop this feeling and just know the one thing to do next, then the next one thing, etc ? I’m not complaining, just wanting to know what to action in what sequence. Thanks. Glad you liked the post, Judy. In my experience, the most important thing is not to give in to “paralysis by analysis”. The fact is, there’s an incredible amount of information out there. Too easy to get lost consuming all sorts of advice, from mediocre to absolutely brilliant, not knowing what to start with. – REALLY know who the perfect client is. Many businesses start out chasing poorly targeted leads, who aren’t really the interested market, and whom they shouldn’t be pursuing. It’s critical that you always know who the most likely customer is, in as much detail as possible. – Next, formulate your unique value proposition. What you do, and how you are different from everybody else who is doing the same thing. Not better – although that’s great if you can establish that 🙂 – but different in a way that matters to your audience. Every potential client needs to know what they will be gaining from dealing with you. Examples could be more income (“make money online” niche is all about that), better health, peace of mind, sound sleep, avoiding a personal or professional disaster etc. Based on what’s important for your audience, find the answer to the question how YOU specifically can solve their problems in a way nobody else would. And let them know. – Devise a sales funnel that makes sense for you. For example, this very website has a content-focused funnel. People come and read these great posts, stick around to signup, download freebies, and eventually sign up for paid training. A funnel is any sequence of interactions that turns a lead into a paying customer. So, for instance, if I see a great designer cravatte on some company’s Instagram, and then check out their website, maybe sign up for email alerts about deals, and then snag a good clothing item at half-price, I have just navigated their sales funnel from the entry point to the end, and am now a customer. And that’s just one example. As a rule, you want many entry points that attract leads into your sales funnel – content, adverts, partnerships etc. – and then relatively few channels that convert them. But when you’re starting out, it’s important to make one solid way to bring in and convert new leads, and then build upon this. Don’t chase something just because everyone else is doing it – try every strategy and every tactic “on”, see if it fits your business at all, before you invest time, effort and money into it. Thanks Casey. That was very focused and concise. I like the suggestion of trying on ideas to see if they fit, not just doing things cos everyone or even anyone else does. That’s what you were demonstrating in your post – how different strategies work for different people to get the desired result. Casey! Wow! This is exactly what I needed to hear, you’d made me happy just for reading your absolutely useful post. I have it on my evernote right now! Just a question: How can you focus this great advice to a writer? By “a writer”, do you mean someone who wants to get a book published, a journalist, or a commercial writer? Each would need a bit of a different approach. To be honest, I know next to nothing about publishing, traditional or self-. Growing a community around a writer the grassroots way should work similarly to online marketing. With a twist that it requires more engagement and much, much less selling. You would need to grow a passionate, interested community around your work. And to do that, you gotta give people an opportunity to fall in love with your writing. Which means that growing a following through getting published in literary magazines, giving away excerpts of your work for subscription and similar activities would be a high priority. Also, study famous writers who started online and got big. Study book launches that made bestseller lists. A lot of people have done it before you, so there’s no shortage of info / inspiration. For journalism, that’s not my area of expertise either. You might want to check out makealivingwriting.com, for instance. 🙂 Carol, who has commented here before you, is a peerless expert on the subject. As for commercial writers, this very website has an “audience business” guide for freelancers, so you might want to check it out. But for them the same process applies – approaching leads, qualifying them etc. Only when it comes to a sale, a proposal needs to be very specific to that client, as you’ll be selling a custom service, not a product. Thanks ! This is great, just the kind of information I’ve been looking for as a new business who as literally just set up the subscribe option on my website. I’m very grateful, keep up the food work! I’ve just posted a comment which was meant to say ‘keep up the good work !’ Apologies for the spelling mistake in the first post. Perhaps it’s just me, but when I receive email after email from a company, my “sigh of exasperation” comes from feeling smothered. I may not necessarily want to unsubscribe, but I HATE getting more than one or two emails per MONTH from any business. I end up routing them into a specific email folder, where they sit and languish until I have the time and energy to go through them to see if the information they provide is of any value to my specific situation.